SAN LUIS OBISPO — Six companies with more than two dozen employees and $1.8 million in capital have completed the SLO HotHouse Incubator program, a Cal Poly Center for Innovation and Entrepreneurship (CIE) program devoted to taking businesses from startup to sustainable. – Reduce. Reuse. 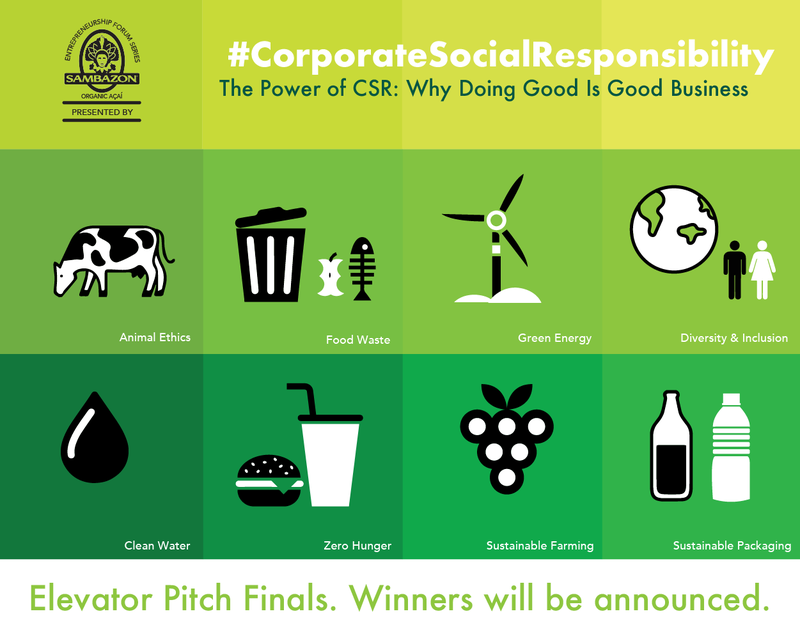 Grow, which aims to replace unsustainable packaging products with smarter, more eco-friendly solutions that also restore local communities’ native landscapes. Since its inception in 2010, the CIE has promoted regional economic development. To date, these six companies have created 27 jobs, benefitted from 644 hours of one-on-one consultations and raised $1,836,000 in capital. All six companies will remain in San Luis Obispo County. 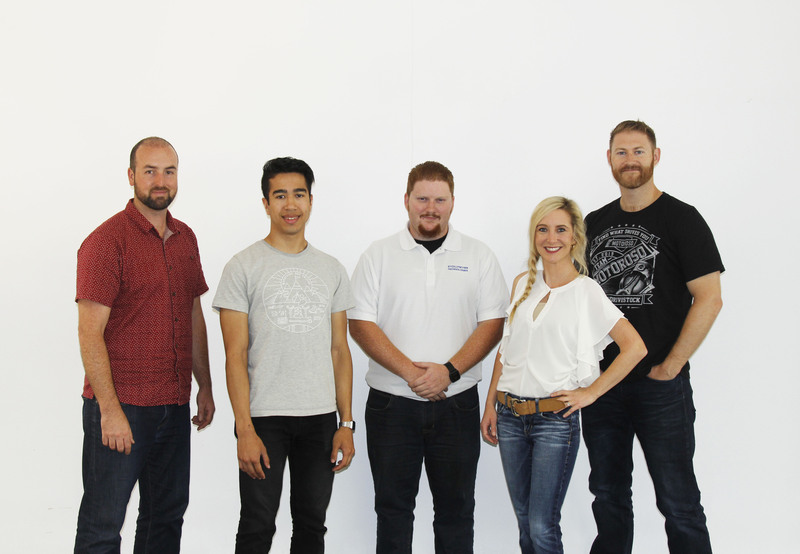 The CIE recently added five community startups to the SLO HotHouse Incubator program. They will join five other ventures that are in their second year of the 24-month incubator program and five in their first year of the program, making a total of 15 startups currently incubating at the SLO HotHouse. CIE offers faculty, students and community members the tools to transform their innovative ideas into viable businesses. By providing quality coaching, professional consulting and connections with industry professionals, the CIE creates an environment in which new businesses can develop and thrive. “As we progress towards the future, startups play a critical role not only in the growth of our economy but also in discovering solutions to solve real-world problems,” said CIE Executive Director Tod Nelson. “We are proud to drive entrepreneurship forward, and we are committed to building an environment that will help nurture innovative ideas and facilitate success. For more information on the CIE programs, visit cie.calpoly.edu. The CIE opens a world of entrepreneurial opportunity to Cal Poly students, faculty and community members, and promotes entrepreneurial activity and dialogue across the university and throughout San Luis Obispo County. For more information, visit http://cie.calpoly.edu/. The SLO HotHouse is a community space created through the efforts of Cal Poly and the city and county of San Luis Obispo, the business community and the Cal Poly Center for Innovation and Entrepreneurship. The goal of the SLO HotHouse is to support students and community members create new innovations and start business ventures. SAN LUIS OBISPO — Cal Poly’s Center for Innovation and Entrepreneurship (CIE) today announced three new startups that have been selected to join the growing cohort of SLO HotHouse Incubator companies. The incubator program, which started in 2012 to help startup companies get off the ground and become financially stable and high-growth enterprises, had previously only accepted applications from Cal Poly students and recent graduates. Startups participating in the SLO Hothouse Incubator programs benefit from mentorship, monthly peer-to-peer roundtable discussions, an advisory board for each startup in the program, participation in Pitch Night, networking opportunities, and exclusive access to various entrepreneurial events in the community. Businesses will also be able to utilize all CIE SLO HotHouse resources, including office space, conference rooms and an invaluable peer network. Participants are excited by the opportunity. Community startups interested in applying for the CIE SLO HotHouse Incubator program should go to http://cie.calpoly.edu/launch/hothouse-incubator. From left: James Thrasher, Joseph Coplon, Marc Stollmeyer, Maggie von Stein and Alex Littlewood are new members of the CIE SLO HotHouse Incubator program. SAN LUIS OBISPO — For the first time, the Cal Poly Center for Innovation and Entrepreneurship (CIE) will accept community startups into its SLO HotHouse Incubator program. Applications will be accepted through Nov. 22. Startups applying for the program must submit a business plan and answers to a series of questions that a committee will review. The committee will look for companies with technology innovation, scalability, and high growth potential. Up to four ventures will be accepted into the intense 24-month Incubator starting Jan. 11, 2016. Programming for the SLO HotHouse Incubator includes mentorship, monthly peer-to-peer roundtable discussions, an advisory board for each startup in the program, participation in Pitch Night, networking opportunities, and exclusive access to various entrepreneurial events in the community. Businesses will also be able to utilize all of the CIE SLO HotHouse resources, such as office space, conference rooms, and an invaluable peer network. “This program provides emerging enterprises with a strategic path; a wide array of vital business development services and resources; and ongoing guidance, motivation, and support to help new ventures succeed,” said CIE Executive Director Tod Nelson. The SLO HotHouse is a community space that has been created through the efforts of Cal Poly, the San Luis Obispo community, and the Cal Poly Center for Innovation and Entrepreneurship. The goal of the SLO HotHouse is to support students and community members as they work to create new innovations and start business ventures. SAN LUIS OBISPO — Cal Poly’s Center for Innovation and Entrepreneurship (CIE) has accepted seven startup companies into this year’s SLO HotHouse Summer Accelerator program. – Bluezone uses augmented reality, gamification and big data to inspire discovery and connection between users. It was developed by Brett Foreman, and Jimmy Kang, business administration. Alfa Grey Technologies: researches and develops technologies which protect the first-responders and servicemen and women who keep our families safe. Archer Components: develops bicycle add-ons that transform any cable-driven shifting mechanism into a high precision, cable-free, Bluetooth operated, shifting system. Atsá Foods LLC: an innovative foods company that incorporates Native American superfoods into everyday snacks. Brandplug: allows marketers to lower their social media celebrity marketing costs by more than 50% by using our novel pay-per-impression social media celebrity marketing platform. Current Solutions: the first comprehensive personal security solution for college-aged women who feel unsafe walking alone at night and parents who are worried for their children’s safety that integrates all four layers of security: deter, defend, respond, and record; It does this by automatically dispatching police to a user’s exact GPS location, notifying loved ones of the user’s situation, alerting the nearby Current community, and recording audio and video. DTE Materials: manufactures high performing hemp building insulation sustainably from plant to home. Fitmi: a smart mirror that provides a quick, holistic review of health and progress. Grow Nodes: a wifi connected automated cannabis growing system that makes growing easy for anyone by constantly monitoring and adjusting the plants environment and notifying the user through the mobile app whenever the plant needs tending. Pashion Footwear: an innovative fashion startup working to create a “practical and fashionable” approach to the classic stiletto heel – an adaptable shoe that can fully convert from a pump into a sandal. PCkit: helps people build their own powerful, affordable gaming computers optimized to the specific video games they want to play. PolyRents: simplifies the housing rental process for landlords, property managers, and tenants. SharedElements: a platform that vertically integrates solutions for entrepreneurship. SpotDrop: creates an adaptable smart irrigation system for vineyard managers who want to save water and increases the quality and yield of their crop by enabling vine-by-vine control and eliminating irrigation inefficiencies. SAN LUIS OBISPO — The Cal Poly Center for Innovation and Entrepreneurship will host a panel of entrepreneurs at the “Customer Craze: Make Them Obsessed With Your Company” forum on Tuesday, Feb. 7, in the Cal Poly Performing Arts Center. The theme of the entrepreneurship forum, which is free and open to the public, is the customer experience counts even more than price, product or promotions. The forum will be held from 4:30 to 7:30 p.m. The evening’s panel discussion will focus on customer experience, relationship management and growing a customer base. Panelists include Jodi Andrews, CEO/co-founder of ProTrials Research Inc., a San Jose-based leader in clinical research; Darrell Rodriguez, CEO of castAR, a Palo Alto-based technology startup developing augmented reality and virtual reality glasses; Michael Jones, founder of Azhiaziam International, a Morro Bay-based surf apparel brand and shop; and Steve Beck, venture partner for Champaign, Il.-based Serra Ventures, an early-stage venture capital firm investing in technology companies. Attendees will have the opportunity to ask them questions. The event kicks off with the P.E.N. (Pitches, Exhibits, Networking), from 4:45 to 5:45 p.m., where attendees will participate in a “Business Slogan Bingo” game where they match slogans with company names for the chance to win prizes. Community members interested in supporting entrepreneurship and innovation at Cal Poly can become Pioneer Pass Holders with a pledge of $100. The annual pass gives a member expedited registration and access to special industry events. Advance registration is required. For more details and to register, visit https://febforum17.eventbrite.com. The CIE opens a world of entrepreneurial opportunity to Cal Poly students and faculty members and promotes entrepreneurial activity and dialogue across the university and throughout San Luis Obispo County. For more information, visit cie.calpoly.edu. The SLO HotHouse is a community space created through the efforts of Cal Poly and the city and county of San Luis Obispo, the business community and the Cal Poly Center for Innovation and Entrepreneurship. The goal of the SLO HotHouse is to support students and community members create new innovations and start business ventures. For more information, visit http://cie.calpoly.edu/slo-hothouse. SAN LUIS OBISPO — Cal Poly Center for Innovation and Entrepreneurship (CIE), which is providing workplace solutions for freelancers, startups and entrepreneurs, has space for new members at its new SLO HotHouse location in the heart of downtown. Business professionals looking for a welcoming coworking space to set up shop with other business-minded members, a place to launch the next big idea or American dream, or a convenient place to meet with clients, now have affordable solutions. The CIE SLO HotHouse offers its members a comfortable work environment with fast Internet, 24/7 access, educational and social events plus business consulting at an all-inclusive price. Members also have access to meeting rooms, high-quality printers and a full kitchen with premium coffee. With more than 15,000-square-feet of space, the SLO HotHouse offers flexible short- and long-term memberships, an open area for coworking as well as a private phone booth, a lounge, three conference rooms, private offices, dedicated desk spaces and event space. 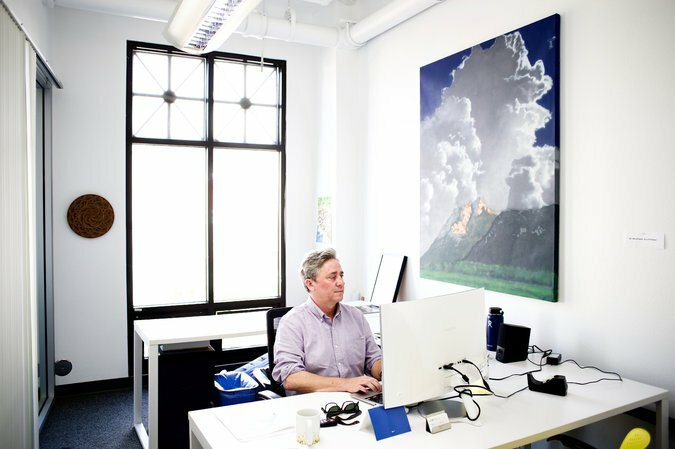 The SLO HotHouse is a community hub with more than 50 individuals and over two-dozen companies working out of the space. Members include experts in real estate, marketing, law, photography, and development. The SLO HotHouse is at 872 Higuera St. in downtown San Luis Obispo. For more information, go to http://cie.calpoly.edu/slo-hothouse. 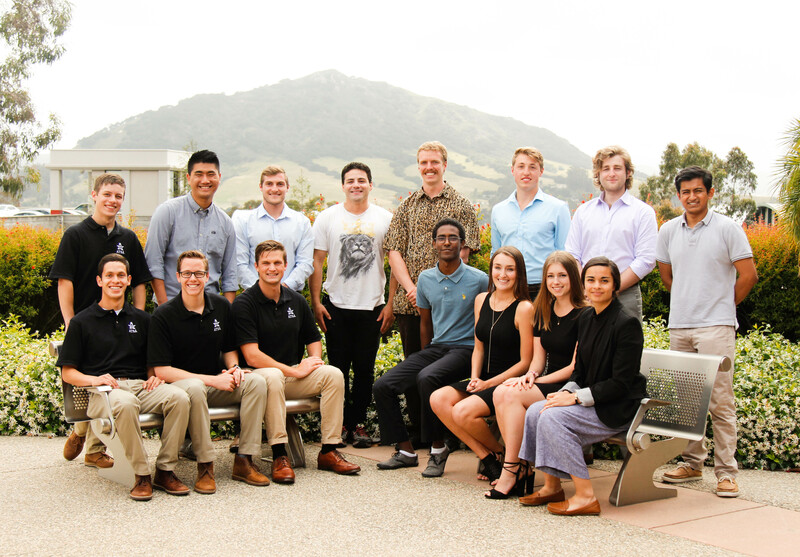 The CIE opens a world of entrepreneurial opportunity to Cal Poly students, faculty and community members by promoting entrepreneurial activity and dialogue across the university and throughout San Luis Obispo County. For more information, go to cie.calpoly.edu. SAN LUIS OBISPO, Calif. – Cal Poly’s Center for Innovation and Entrepreneurship (CIE) will host a grand opening from 5:30 to 7:30 p.m. Tuesday, Nov. 15, to celebrate its new 15,000-square-foot SLO HotHouse location in the heart of downtown San Luis Obispo. The SLO HotHouse is a collaborative effort with the county, city and local business community aimed at supporting innovators and entrepreneurs to build a unique startup culture in San Luis Obispo County. Attendees to the grand opening celebration will tour the biggest tech startup community in San Luis Obispo and have the opportunity to speak to the innovative individuals in the SLO HotHouse Incubator, a two-year program for Cal Poly students and recent graduates devoted to transforming their businesses from startup to sustainable. Entrepreneurs can also learn about all the CIE programs and resources available to them at SLO HotHouse. They include the new business incubator — now open to community startups, expanded co-working services, and the Small Business Development Center, which helps startups and established companies launch businesses, attract capital investment, and create jobs. Heritage Oaks Bank is sponsoring the event. The public is invited to the SLO HotHouse Grand Opening at 872 Higuera St., directly above the Ross Dress for Less store. Advance registration is required. To register, go to https://slohothousegrandopening.eventbrite.com. The SLO HotHouse is a community space created through the efforts of Cal Poly and the city and county of San Luis Obispo, the business community, and the Cal Poly Center for Innovation and Entrepreneurship. The goal of the SLO HotHouse is to support students and community members create new innovations and start business ventures.